With the first sneakers set to drop this Spring. ASICS has announced an upcoming collaboration with Vivienne Westwood, with the iconic British designer set to rework silhouettes from both ASICS and ASICSTIGER. The collaboration is set to feature a number of different styles, and will begin with two silhouettes releasing in April 2019. ASICS and Vivienne Westwood have teased the collection with a mid-top GEL-Mai sneaker that has been reworked with a white and red color palette. 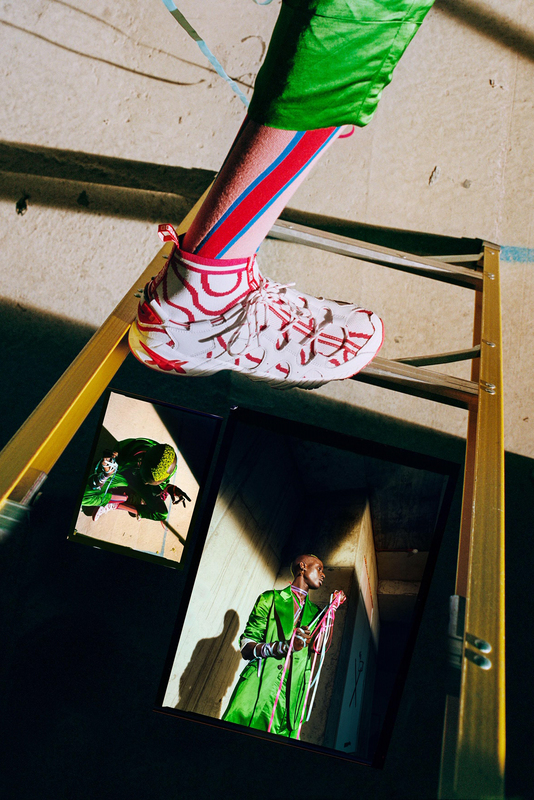 Take a look at the teaser image in the gallery above, and expect the first two collaborative Vivienne Westwood x ASICS sneakers to release via the Vivienne Westwood and ASICS web stores at the end of April. In other ASICS news, check out the new collaborative Hasbro G.I. Joe collection. As well as donating $100,000 USD to the Grand Canyon Conservancy. We caught up with the band to discuss the collaboration. Equipped with a comfy Vibram sole.